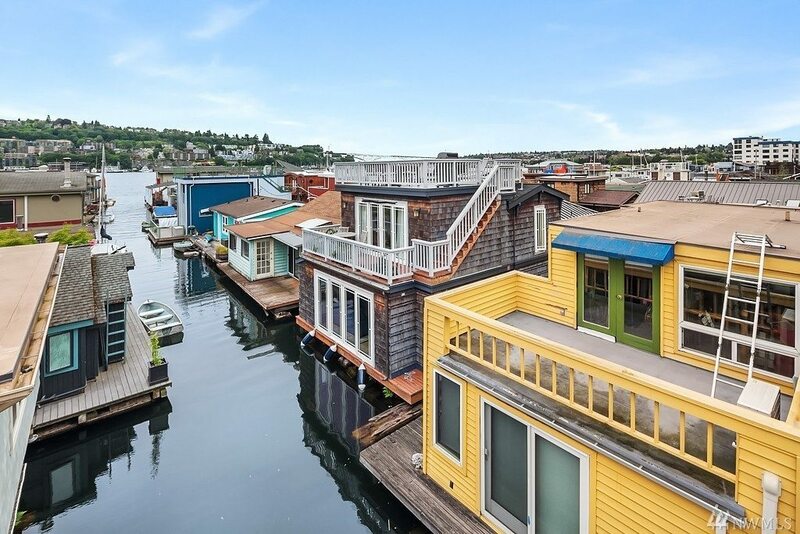 Come live across the dock from me in Eastlake, my neighbors floating home is for sale, and Urban Living is selling it! 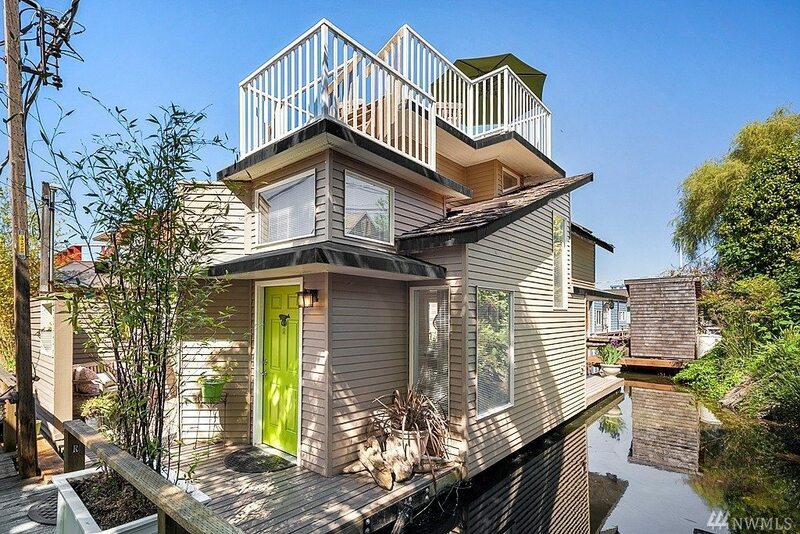 Home #R on the 2025 Fairview Ave dock is the perfect floating home. Only minutes from downtown, you can spend your days kayaking, paddle boarding and boating (moor up to a 18′ boat with the co-op board’s approval). With four decks there is plenty of space for your water toys, and you can’t find a better place to entertain than on the rooftop deck with panoramic views of the city skyline. Trust me, you can’t find a better spot to celebrate the fourth of July with the fireworks just overhead. 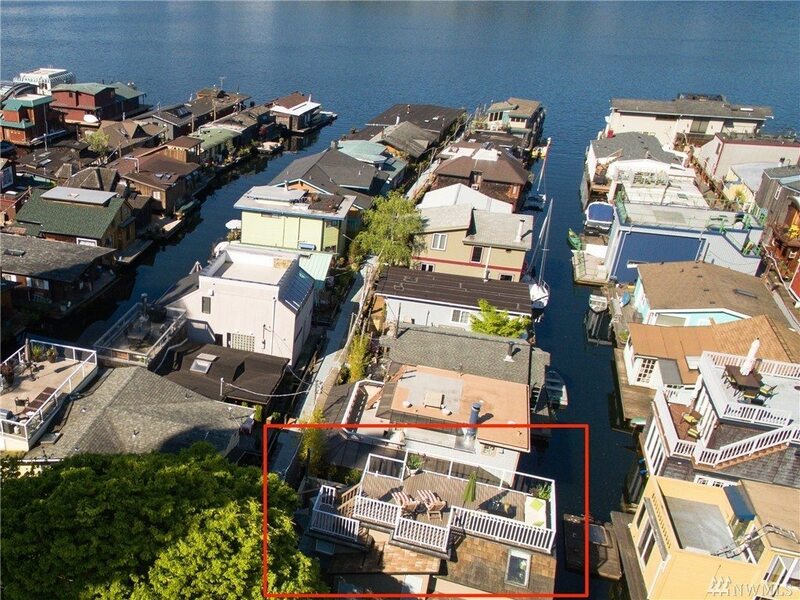 The sellers recently updated this floating home, putting in a new kitchen, new rooftop deck, updating the bathroom and adding stabilizer bars. 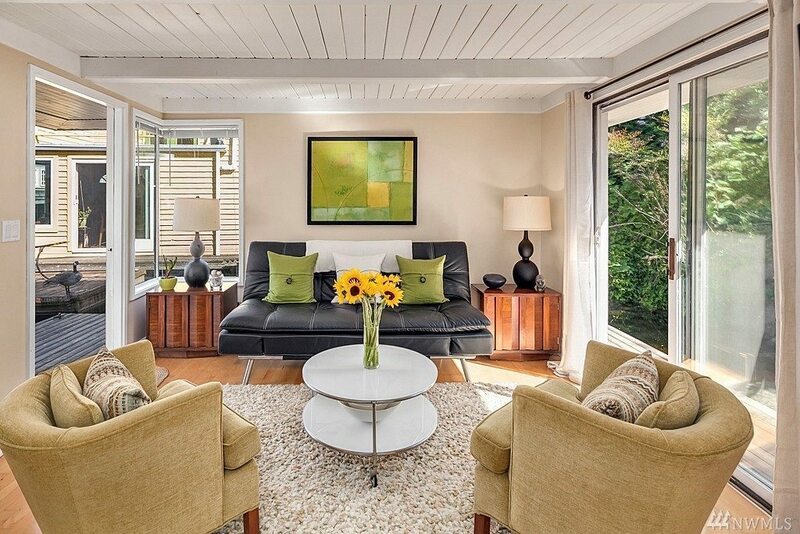 It is listed at $675,000 with one bedroom, one bathroom in the 840 square feet. This is our third summer on the dock and absolutely love it. 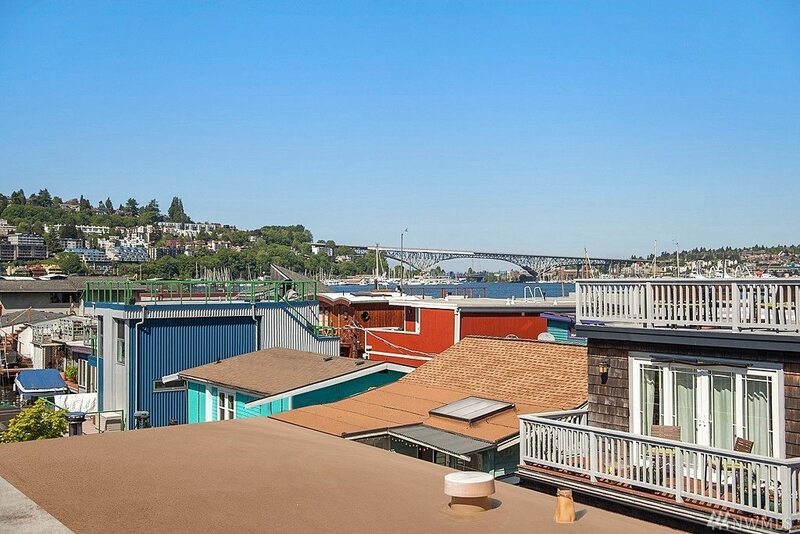 It feels like you live at the beach but yet you can bike or drive to downtown in just a few minutes. 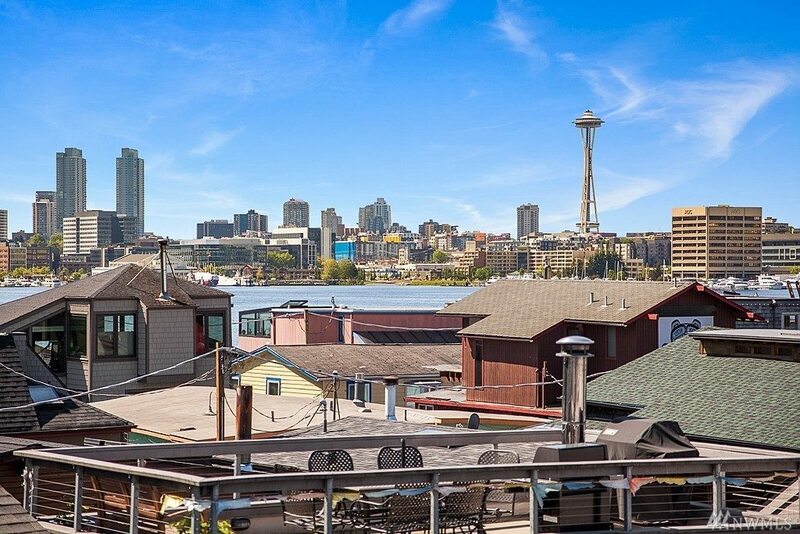 Plus Eastlake, unlike Portage Bay, has a good number of restaurants (Cichetti, Serafina, Babirusa, Blind Pig, Pazzos, Mammoth…), bars (The Zoo, Chichetti, Babirusa) and shops (Pete’s, Grand Central Bakery). Nothing beats coming home from work and going for a swim on a day like today! 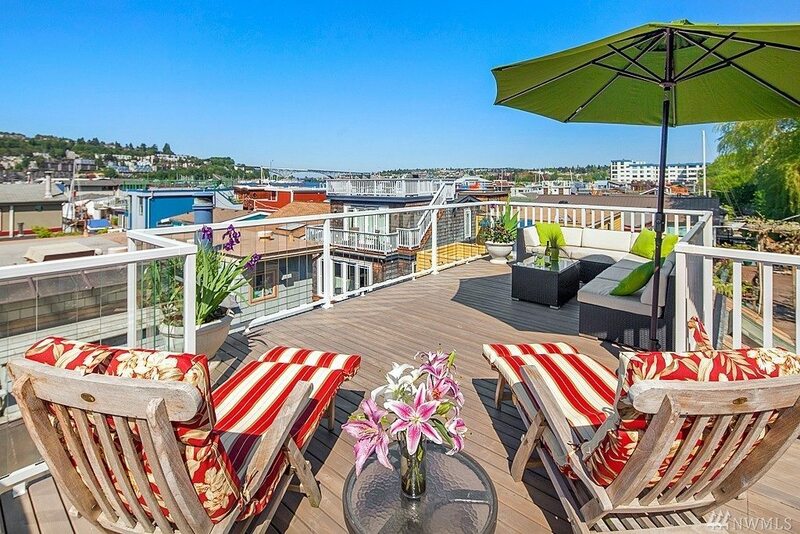 Or relaxing on your rooftop deck with the city views. Want to see it? 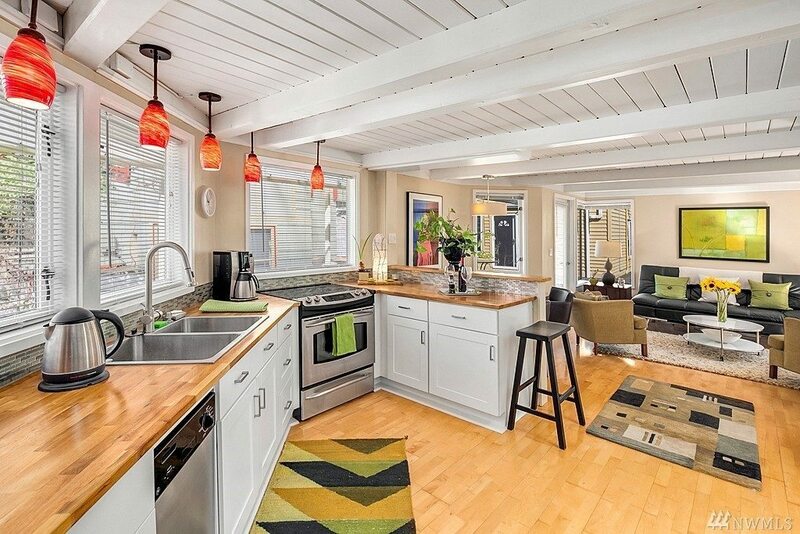 Stop by the open house Thursday from 12:30-2:30, or Saturday and Sunday from 1 to 3pm. Or just send me an email ([email protected]) or call (206-618-1600). Happy to show it to you!